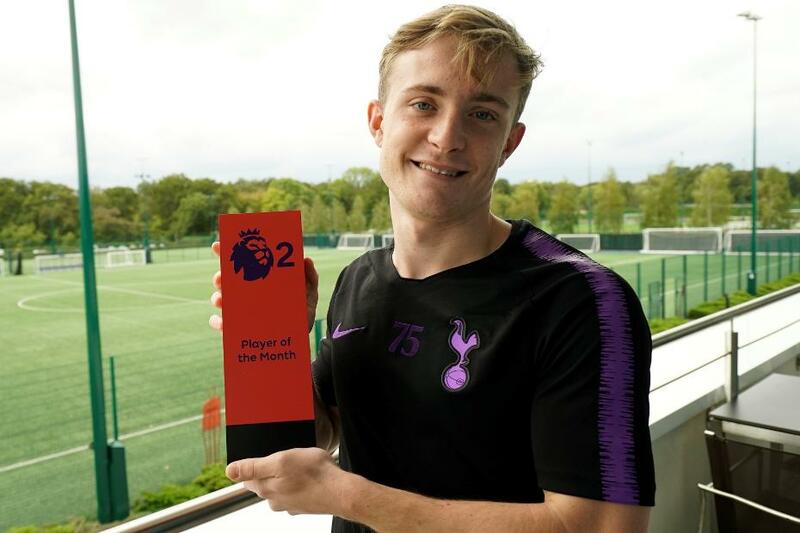 Oliver Skipp has been named the PL2 Player of the Month for September 2018. Tottenham Hotspur's 18-year-old midfielder provided an assist in a 2-0 PL2 Division 1 win over Manchester City before featuring in a 3-1 victory at Blackburn Rovers. He has since been named on the bench for Spurs' last two first-team matches, against Barcelona in the UEFA Champions League and Cardiff City in the Premier League. "I'm delighted to win this award but it's obviously down to the team's performances and how we’ve played throughout the month with victories against Manchester City and Blackburn," Skipp told Spurs' official website. "We had good performances in both those games which have helped me win the award. "It's been a great month for me really, finishing off with the two bench appearances for the first team, but I just need to keep pushing." Skipp was selected by the Premier League's Football Development Panel from a nine-man shortlist.